This post may contain compensated links, please read our disclaimer for more info. Looking for a fabulous scuba diving gift? Check out these 20 wonderful scuba themed gifts. With over 15 years of scuba experience, I know exactly which gifts for scuba divers are actually useful or wanted. Surprise your loved ones with a thoughtful scuba gift they will cherish and use for years to come! Of course, a dive computer is an amazing gift (I should know, I got one for my birthday two years ago!). 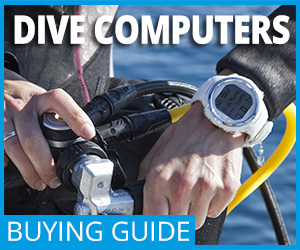 However, this is an expensive gift, so use our detailed dive computer buying guide to select the best dive computer available. Check out our other great scuba gift ideas below. A good dry bag always comes in handy! We really use ours a lot. They’re especially great for boat diving or when going on a live-aboard. Also very useful for going to the beach, camping, hiking, rafting, fishing, kayaking or any other type of watersports. Waterproof bags are available in different sizes. The easy roll up system at the top will ensure your valuables and other personal items will stay absolutely dry. The bags will even float on water. For us girls that scuba, there’s some great dive themed jewelry out there. Show the world how much you love to dive! I personally think this little scuba turtle is absolutely adorable and wouldn’t mind the bracelet either. If your scuba girl has a favorite underwater animal, there’s bound to be a piece of jewelry that is the perfect gift. When you’re diving it’s extremely important to stay hydrated. So a water bottle is a great gift for any scuba diver. Why not surprise your scuba diver friend with a scuba themed water bottle? There’s even the option to personalize a bottle just for them. What a lovely Christmas gift idea! When not diving, divers usually love to read about diving. After all, it’s their favorite hobby. Here are a few book ideas that would make great gifts for scuba divers, from newly certified to advanced divers. When servicing your scuba equipment not any type of tool will do. You need just the right keys, wrenches, screwdrivers and picks. So these special scuba tools are a Christmas gift that every diver will love. ScubaAroundTheWorld.com is a participant in the Amazon Services LLC Associates Program, an affiliate advertising program designed to provide a means for us to earn fees by linking to Amazon.com, Amazon.ca, Amazon.co.uk, Amazon.de, Amazon.fr, Amazon.se, Amazon.it and affiliated sites. 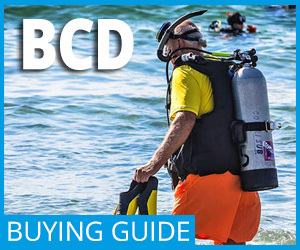 ScubaAroundTheWorld.com – Everything scuba, from the best dive spots to the best dive computers. Copyright © 2019 Scuba Around The World.